Earn 975 loyalty points when you order this item. 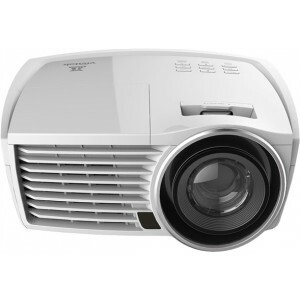 - Image Size (Diagonal): 25.9" - 324.9"
Vivitek H1186 HD Projector is an outstanding home cinema projector with ISF calibration and a Full HD 1080p resolution delivering 2,000 ANSI lumens of brightness with a high contrast ratio of 50,000:1. 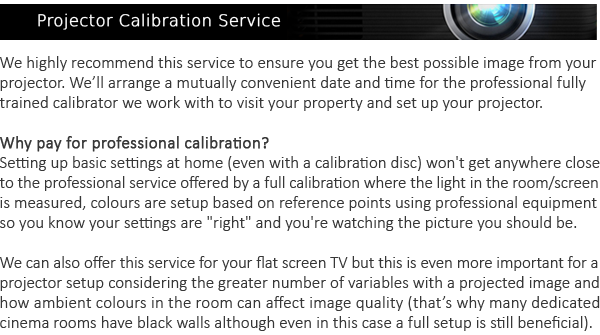 The ISF calibration makes the H1186 the perfect solution to fully enjoy the home entertainment experience. 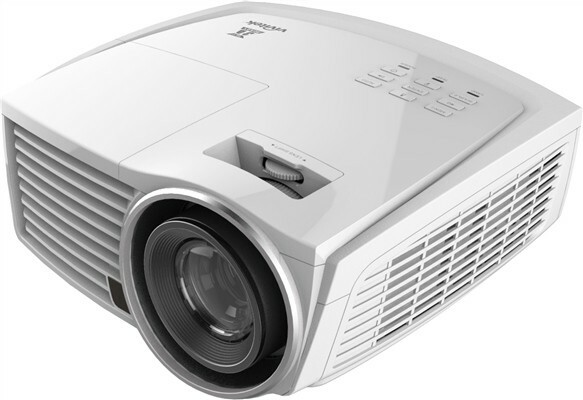 The projector benefits of a native 1080p resolution and includes the Texas Instruments’ DLP DarkChip3 and BrilliantColor technologies for vivid and colourful images with deep blacks. DLP (Digital Light Processing) is a display technology from Texas Instruments. The technology inside is often referred to as Digital Micro-Mirrors and consists of an array of mirrors where each mirror represents a pixel element. For example, a high-definition DLP projector or rear projector with 1920 x 1080 pixel resolution would have over 2 million tiny mirrors. Each mirror is attached to an electronically driven hinge that controls the amount of coloured light that is reflected from. DLP DarkChip3 and BrilliantColor technologies for optimal black levels and vibrant colourful images. BrilliantColour from Texas Instruments is a multi-colour processing technology that produces vibrant images. BrilliantColor technology uses up to six colours, instead of just the three primary colours, red, green and blue, to improve colour accuracy and brightens secondary colours. 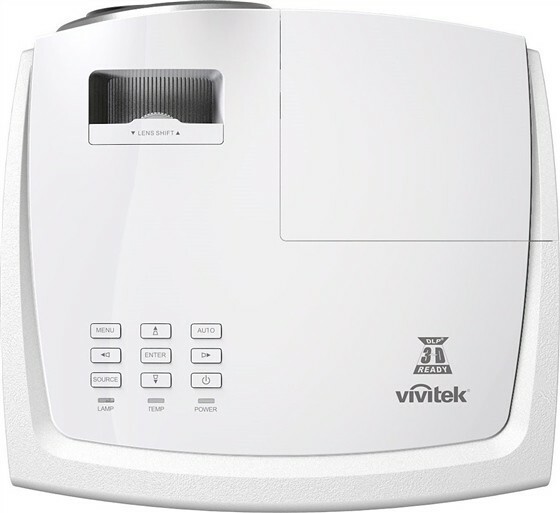 Easy to set up and install, the Vivitek H1186 projector features a vertical lens shift for greater installation flexibility. 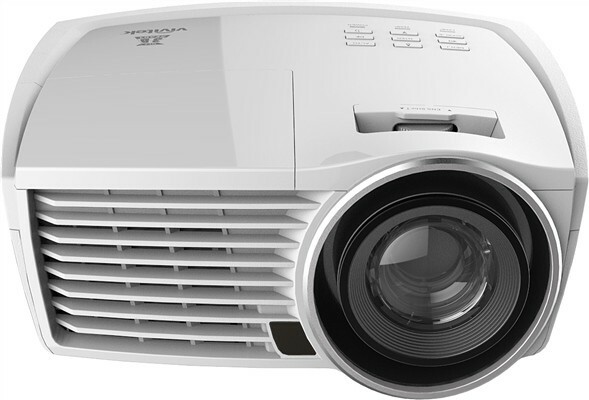 The projectors include ISF mode for both day and night calibration, SRS WOW audio sound technology for a cinematic experience with deep and rich bass as well as a complete set of multimedia connectivity options such as HDMI v1.4, MHL inputs to allow users to connect their cable/satellite receiver, Blu-Ray disc player or video gaming console on top of various I/O ports such as VGA, S-Video, component and composite video, 3D Sync, RS-232, and 12v trigger.